Hello, Diane with you today! Are you feeling the "springtime" weather yet? are one of my favorite to work with. I choose a more "simple" die to work with today. 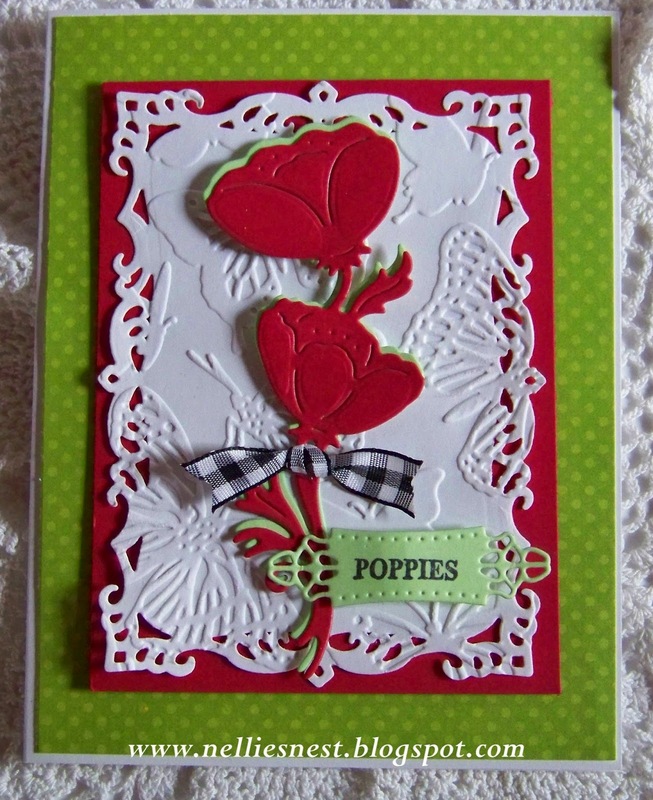 Dancing Poppies by Wild Rose Studio. creating a bit of a "shadow effect". 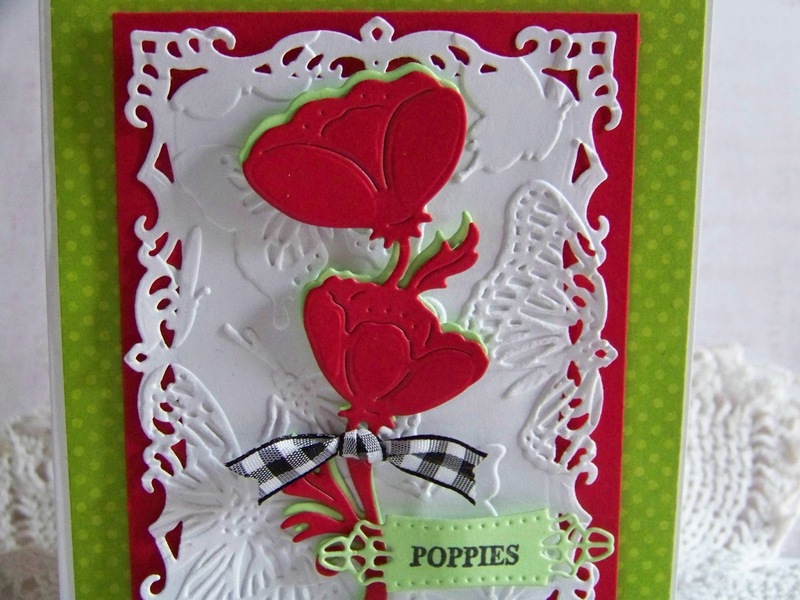 embossed with a Darice Butterflies embossing folder. Cheery Lynn Designs Sentiment Frame #1. A "snippet" of ribbon was added to finish! we would love to have you join us there as well!! Beautiful Daine. Its perfect for our 100 year ANZAC celebrations later this month!